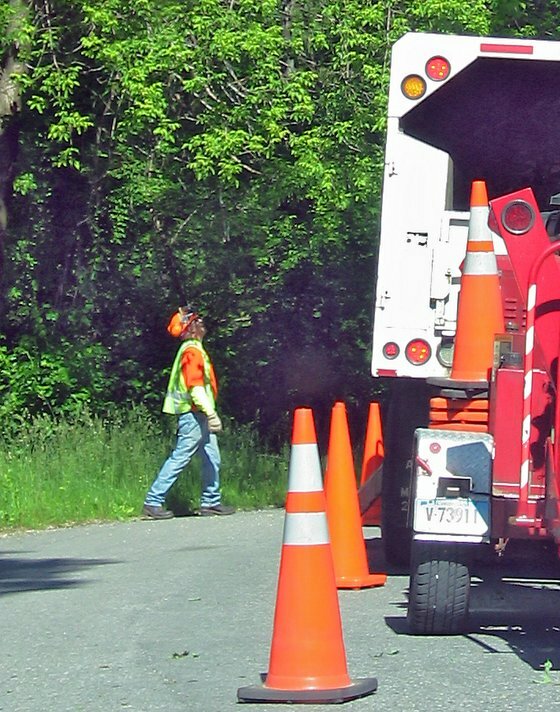 Someone once said there are two seasons in Connecticut - winter and road work. This year's been pretty good so far - no major project going on that cause a lot of delays. But several storms recently caused a lot of broken limbs, so the tree guys have been working hard. Hiya--sorry I havnt been around for a while--having major personal trouble at the moment. Love the "two seasons" joke--very funny.Also love the new layout--mines just changed tonight aswell. Tree work can be a dangerous job too! Hey, I just noticed that you "chopped" your kids from your profile photo! It is hard to find a good self portrait from those of us that are usually behind the camera, thus I haven't gotten one of myself yet!